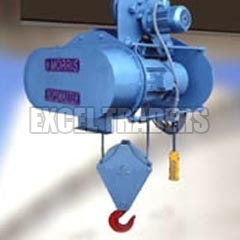 The company is named amidst the famed Electric Hoist Blocks Suppliers from India. The Electric Hoist Blocks, offered by us, are fabricated as per the set industrial quality standards at the manufacturerâ��s unit. These Electric Hoist Blocks are high in quality and outstanding in performance. Used for heavy duty operations & repetitive use under most severe operating conditions.